In the first of an occasional series, we are inviting a guest blogger to post their thoughts on a family law issue of their choice. Here, Bob Greig, of Only Dads, talks about the importance of a “children first” approach, not just in law, but in life. The 1989 Children Act encapsulates an ethic that needs to be at the very heart of the work of all professionals involved in the family justice system – but I think the time has come for a review of this founding principle. Not, I hasten to add, a review of the words themselves, but rather a review of how the “system” enables this ethic to be fulfilled. Running www.onlydads.org affords an interesting perspective on “the system”. As a non-professional working with divorcing and separating mums and dads, I talk with parents often at a loss on how best to move forward. Often they are bamboozled by fear, resentment, confusion and anger. 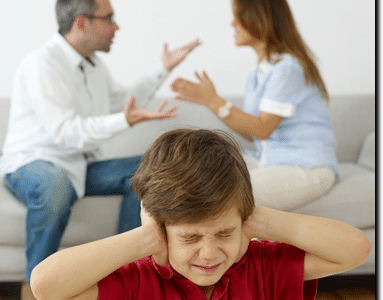 Family solicitors and barristers talk of excessive paperwork and the stresses of counseling parents (for which not many will have been trained) and endless delays at court. CAFCASS officers feel undervalued, and are now speaking publically about not having enough time to get to the heart of cases. Judges too have spoken at the utter dismay of seeing the same parents come back before them time and time again, sometimes for many years in a row – and still rowing! The Ministry of Justice are reviewing systems now, but this is one of those classic cases where although top-down reordering might help, it will be compromised by budget constraint and political maneuvering. Will it improve matters? That’s a good question! If all this sounds a little depressing, I want to end with a brief introduction to David (name changed – but the rest of this story is factual). David came to one of our OnlyDads groups for support and advice during what turned out to be a very acrimonious divorce. Still in his 20s, he had been, and still is, a totally hands-on dad. He is loving, committed and thoughtful. Six months and three court cases later, David arrived at our group with news of the final hearing. In short, the court had decided that his daughter should be given contact with her dad for two days a fortnight. Objectively speaking (I have known this dad for some time), this was a bad judgment. Our group sat in a combination of disbelief and sorrow as we listened to the way the court case went. That evening the word “appeal” echoed around our group. When this decision was imparted to our group the next week, despite the inevitable feelings of righteous indignation on David’s behalf, it became clear to us that this was a young man with the wisdom, grace and strength of character to make decisions that, in the long run, will prove to be in the best interests of his daughter. Perhaps the Family Justice System will right itself in years to come, especially if we can raise the next generation with these same virtues of grace and truth and sense of self-sacrifice?